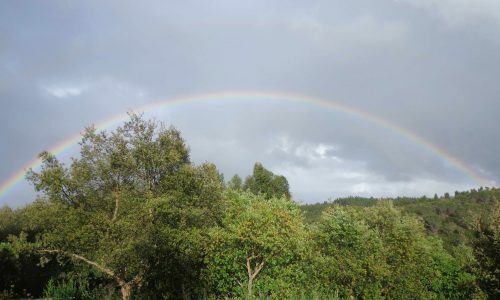 Rain captures the essence of the land at Monte da Vida after the rain has blessed us and refreshed us. The climate of south Portugal can be very dry, and extremely hot in the summer months. 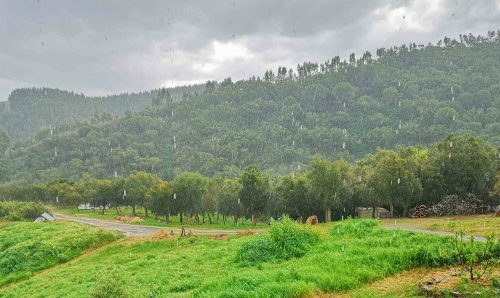 Rain is something we always welcome and are immensely grateful for, especially as the region heads towards desertification. I adore the smell of the land here, when it has rained after a long dry spell. The sweet smell of aromatic plants and damp earth is an elixir for me. The term was coined in 1964 by two Australian CSIRO researchers, Isabel Joy Bear and Richard G. Thomas, for an article in the journal Nature. In the article, the authors describe how the smell derives from an oil exuded by certain plants during dry periods, whereupon it is absorbed by clay-based soils and rocks. During rain, the oil is released into the air along with another compound, geosmin, a metabolic by-product of certain actinobacteria, which is emitted by wet soil, producing the distinctive scent; ozone may also be present if there is lightning. (Wikipedia). I decided that I wanted to try and capture this scent in a bottle, so it could be enjoyed anywhere, particularly in challenging environments and situations. 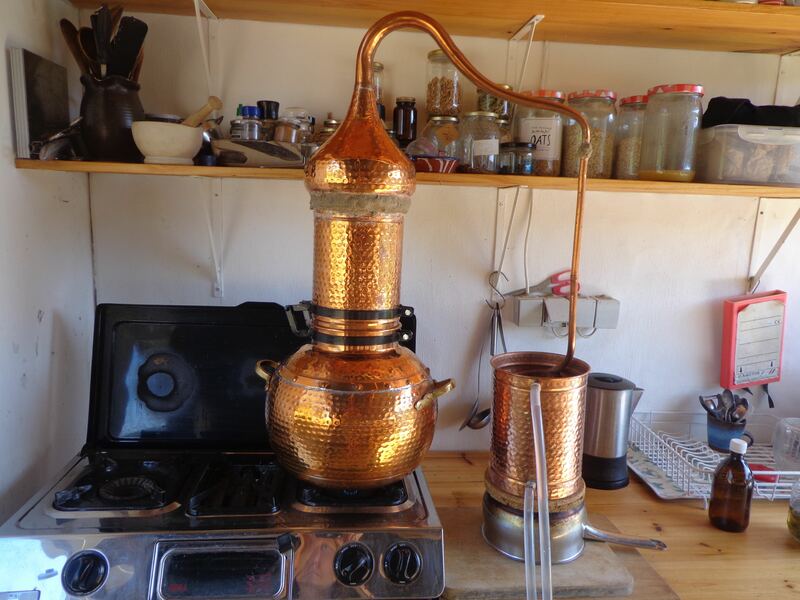 I had already begun experimenting with distilling wild aromatic plants in a copper alambic still, and so continued to do this over spring-summer 2018, and then played with making different blends. I think the result captures the smell and the energy of the rain-drenched landscape pretty well. Although this year I may tweak the recipe when I make fresh batches of hydrosols. The fact is each batch will always be subtly different. Making hydrosols is a delicate art of alchemy, with so many variables to take into account. But the intention and the energy of the plants will always be there. I also add a couple of drops of each of the Oak essences into each bottle for grounding, and added support and protection. Rain refreshes, renews, cleanses. It is full of life, connects us to the earth, and supports growth. The Rain blend is an aromatic ode to the rain, that transports you to a hillside in Portugal. Just as rain softens the baked clay soil, this bottle of plant alchemy can also help soften the tightly held places within us, encouraging us to let go.